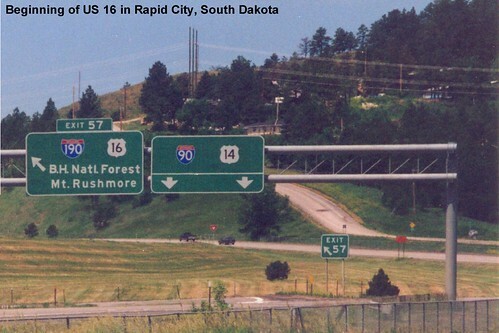 US 16 begins at I-90 and US 14, and is multiplexed with I-190 into Rapid City. 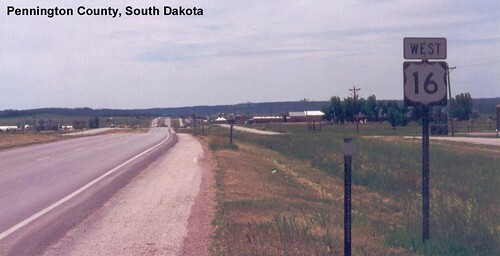 This interchange has been completely redesigned since I visited and took this picture. 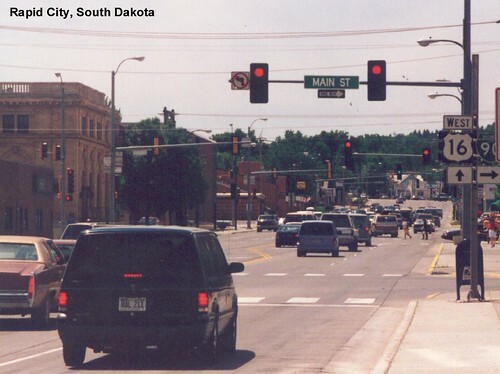 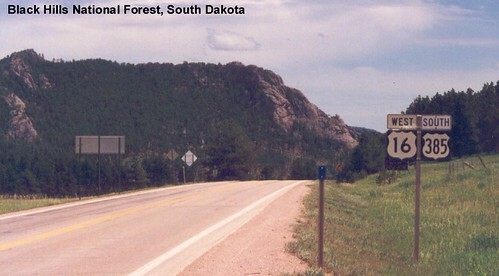 US 16 follows surface streets through Rapid City. 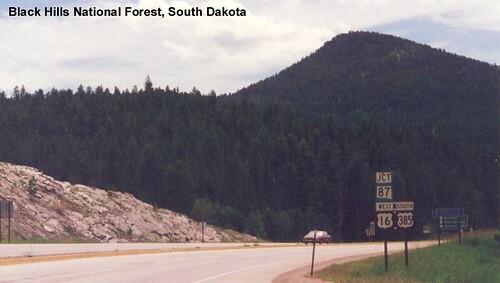 US 16 passes through the Black Hills.